. . . a champion studies. 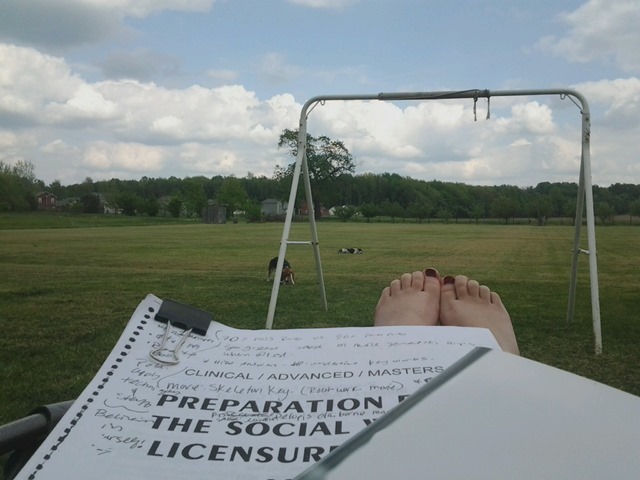 The sun’s been out all weekend and it’s hard to convince myself to stay inside and study for this exam. 48 hours until I, hopefully, don’t have to think about it anymore. I did a short run this morning but the jury agrees that it was too hot and I should have gone out earlier in order to be productive. It’s nice to be back on the ol’ stomping (running) grounds though. I’ll hopefully be working soon so I can choose a fall marathon, and maybe a summer half marathon, and register for them. I run better with races on my schedule, but that’s the way it works sometimes.